Caption : Bangalore: 08/04/2009. 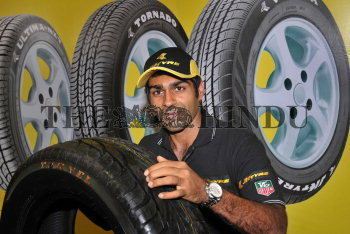 Formula one driver, Karun Chandhok during the inauguration of AUTO TRACK exhibition on Motorsport at Palace grounds in Bangalore on April 8, 2010. Photo: Bhagya Prakash K.